Law of Attraction is a Universal Energy bringing you more of whatever it is that you are thinking, feeling and doing, both consciously and subconsciously. 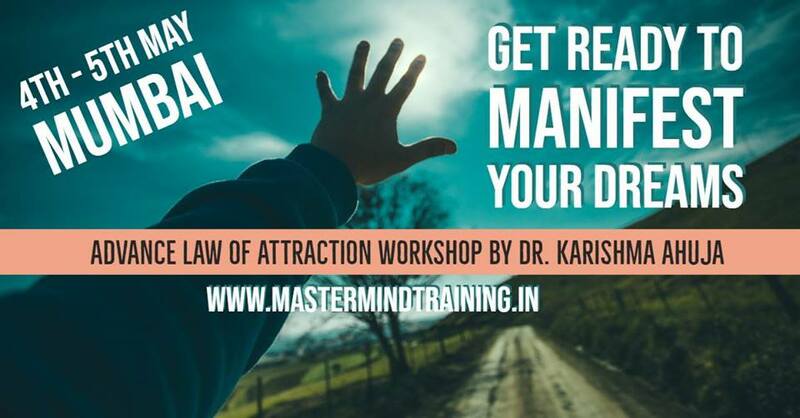 This workshop will teach us how to use this law consciously with the help of powerful mind power and metaphysical tools to overcome blockages lying deep within our subconscious mind. These tools are not only powerful and life transforming but they are also fun to apply. Each tool will help you clear your energy, lift your vibrational frequency, raise your self belief, and help you get more clarity on the steps you need to take to start living the life you desire and deserve!